From the moment you enter Yasaka (and are rewarded with extra-loud 'Irasshaimase!' greetings) you'll believe they live their motto: 'No ramen, no life.' 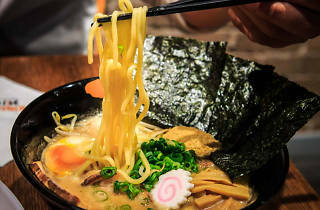 They specialise in tonkotsu here, with miso, salt and soy seasoning options, alongside specials like the black garlic and extra spicy ramen. The base packs an umami punch, the noodles are firm and the eggs are soft, seasoned and warm. Make sure you order Tonkotsu shoyu with extra grilled chasu pork. The rolled pork is delicate and smoky with just the right amount of fat, so order an extra slice. 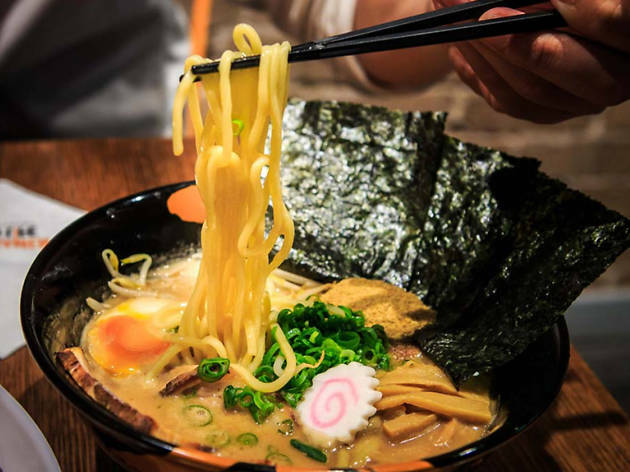 They make their noodles in-house here – so consider saving some room for kaedama – an extra serving of noodles to add to the leftover broth in your bowl.